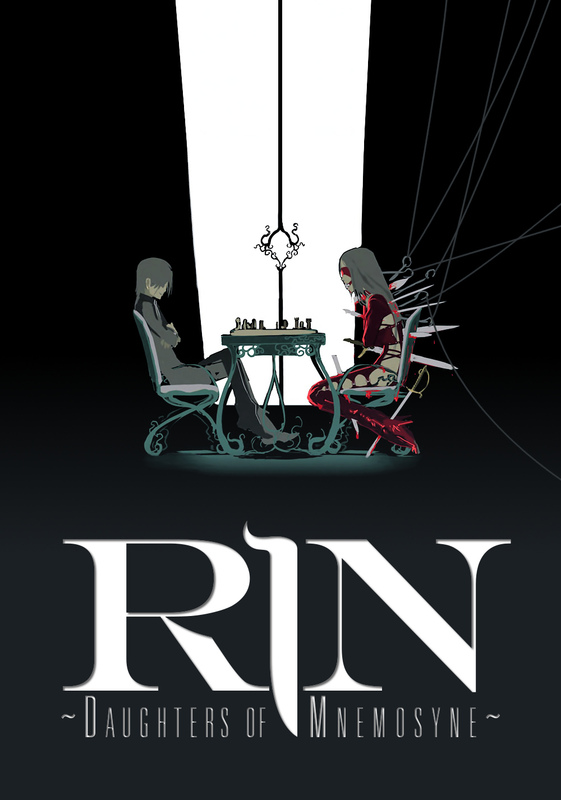 Rin; Daughters of Mnemosyne was first made available for viewing in 2008. The show follows Rin, an immortal detective with a thirst for vodka, she works with her assistant and best friend Mimi, who is also immortal. The pair both became immortal when the mysterious tree, Yggdrasil, released small orbs into the human world, occasionally a special orb called a “Time Fruit” will enter the body of a human and bestow a power upon them. If the host is a female the will become immortal, If the host is a male they become an “Angel”, a demonic creature with blood red wing and a crazed lust for immortal women. During a routine investigation, Rin and Mimi encounter a young man called Koki, he is suffering from a feeling that he is not who he thinks he is. He asks Rin to help him discover the truth about his past and this leads to the discovery of an organization who is rigorously investigating all about immortality and the power and knowledge that is contained within Yggdrasil. My Review: Well, let’s just start this off with a warning, this show is NOT for children. Every episode contains extreme sexual content and a great deal of violence. However, If you can look past all those moments then you might enjoy it. I really liked the fact that every episode is separated by a few years, this does an excellent job of showing what it really means to be immortal, to watch time pass and to know that everything you love will die. In terms of plot, there isn’t really much to go on, I found it pretty confusing and not particularly engaging but if you’re not particularly interested in plot and are just interested in seeing something different then you might find this to be a good option. I rate this anime 2/5.